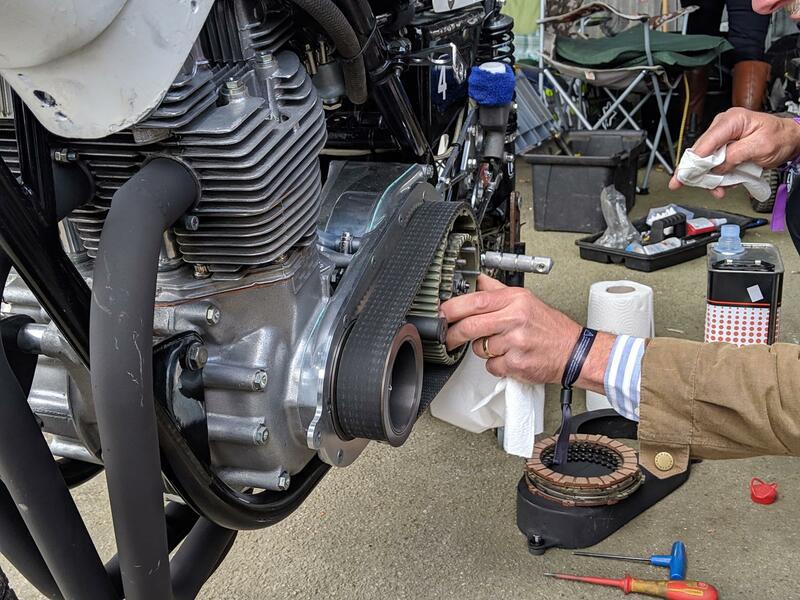 Amid the tweed and public-school games, a new motorbike race made its debut at the 77th Members’ Meeting down at the Goodwood circuit last weekend. The Barry Sheene trophy was a 20-minute Formula 750 grid for bikes that raced up to 1972. Action began on Saturday with practice at 1:15pm, and the main race 10:20am on Sunday. The line-up of 29 bikes and their riders is listed below, but big names aiming for the podium included James Hillier and Guy Martin. There are Brit bikes from Norton, Triumph, Seeley and BSA, taking on international entrants from Harley-Davidson, Honda and Seeley-Yamaha. In 1970 the American Motorcycle Association (AMA) took the decision to transform its headline racing series into a 750cc formula. This caught the attention of mainstream manufacturers, and the resulting grid became synonymous with extremely high-powered bikes, some crazy riders, and subsequently the now-infamous Daytona 200 race. Fast-forward to 1972 and the series came to Imola in Italy. A year later its success prompted a British-based Formula 750 championship, which was won by a 23-year-old Barry Sheene on a Suzuki. This is where the new Members’ Meeting race got its name.